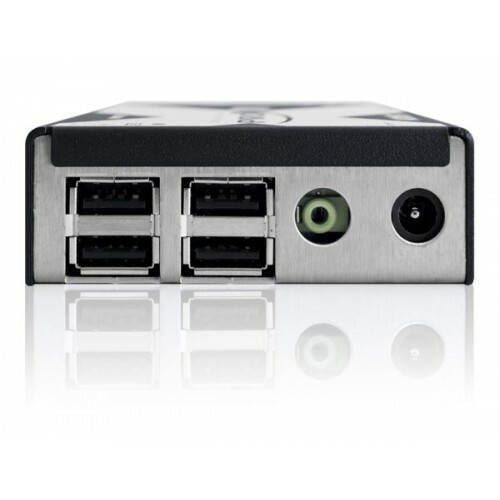 The X-DVI PRO extender uses an uncompressed system whereby every pixel of every frame are sent without loss. HDMI video and audio can be extended with the correct adapter cable, although HDCP and CEC are not supported. Video, USB 2.0 (Low and Full speed) and audio all pass along a single cable, providing up to 50 meters of extension. Distance is dependent upon video resolution, the CATx cable type, and the number of connection breaks for patch panels and wall plates. See table on reverse for details. 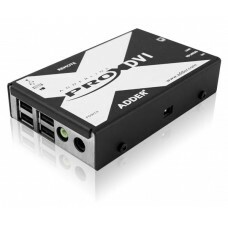 The X-DVI PRO extender is designed to be highly power efficient and run with the minimum of input. In fact, the transmitter unit is so energy efficient that it can be powered solely from the host computer’s USB connection. AdderLink X-DVI PRO extenders are delivered in a zero config state so you can plug them in and start working with them straight away. There’s no need for drivers or software to be installed.